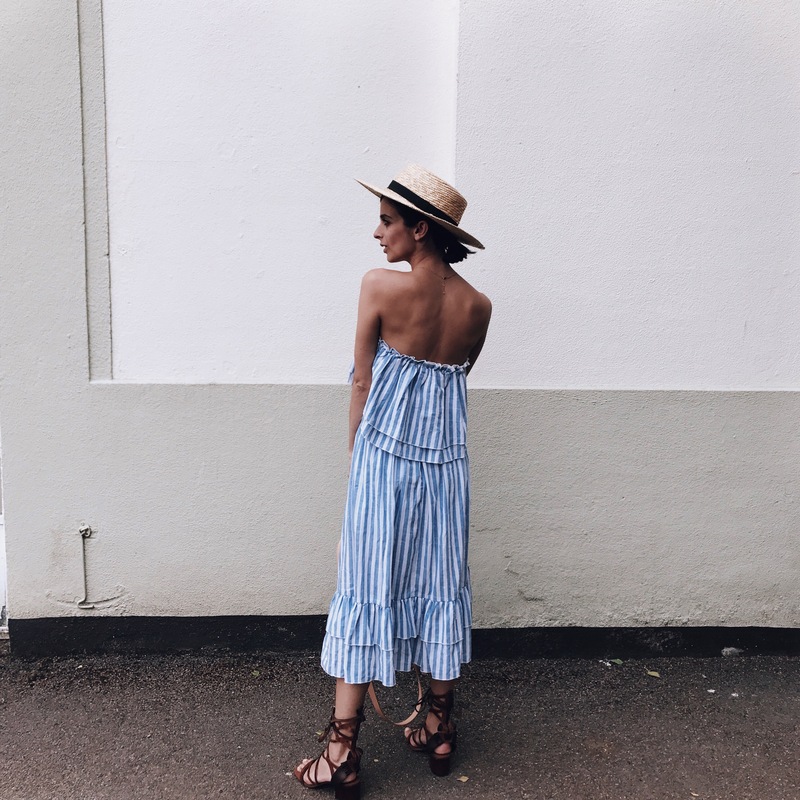 With summer in mind I’ve been thinking about what key pieces to add to my wardrobe (other than white) and stripes is the perfect classic pattern for summer that you know you can wear year after year. This two piece coordinated outfit from SheIn, was made for summer! When SheIn contacted me to collaborate and partner up with them I was beyond super excited! 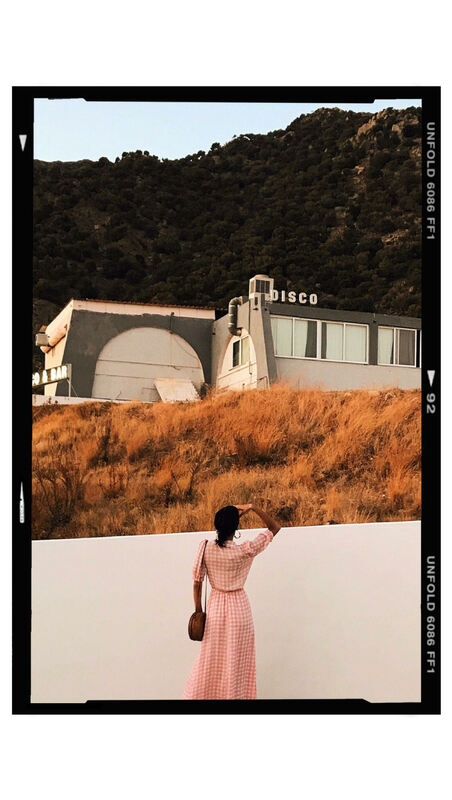 I have a few of their pieces already and what I love most about their pieces is the versatility of their on-trend pieces and completely affordable prices (not to mention delivery was super quick to the UK!). 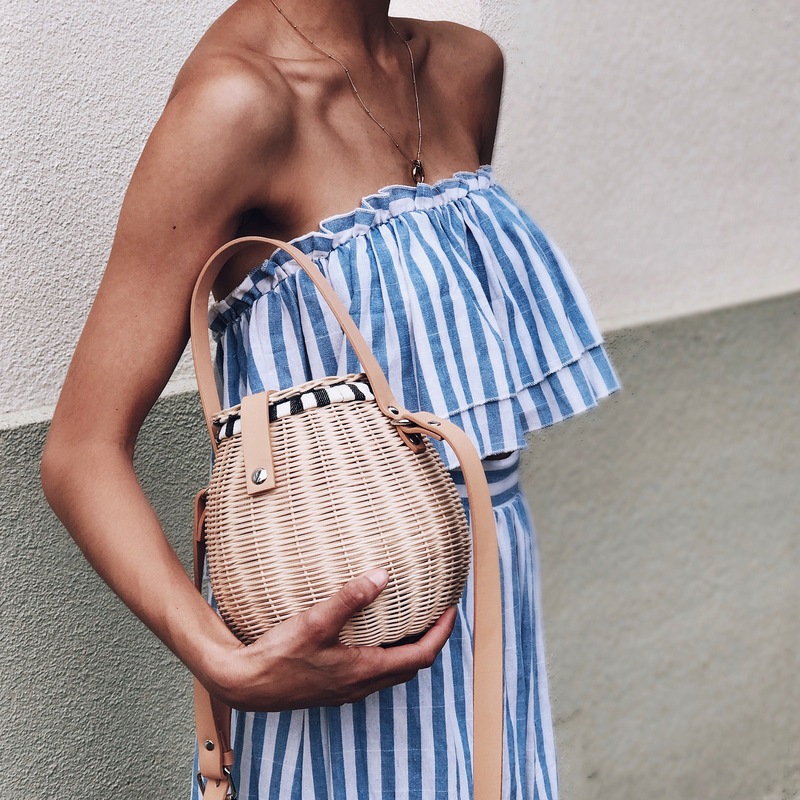 This super pretty coordinated two piece (here) comes in red and white but I picked the blue and white stripes as I thought this will help me look the part when I go to Greece! I feel like this outfit was made for me guys, it’s midi length with an open front split but in the form of a skort which made the outfit that much more fun! 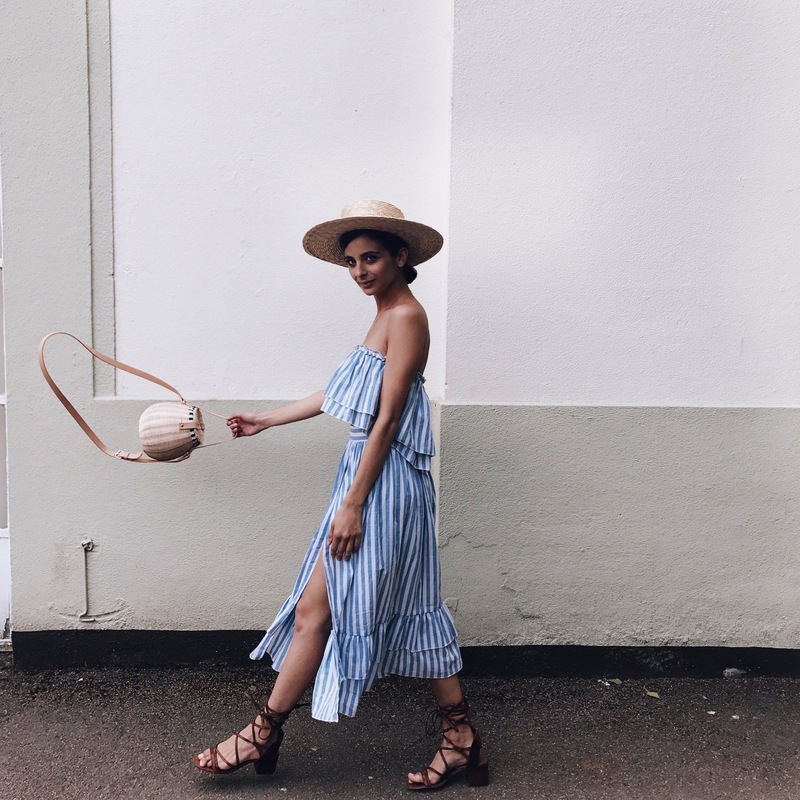 I styled the look with my lace up sandals (here and similar here) to help elongate my legs and my Janessa Leone hat (here) to pull the look together. As this was a two piece set, it literally took me ten minutes to get ready and the versatility of this outfit means I get to style these pieces individually also, and can’t wait to show you how I did this. 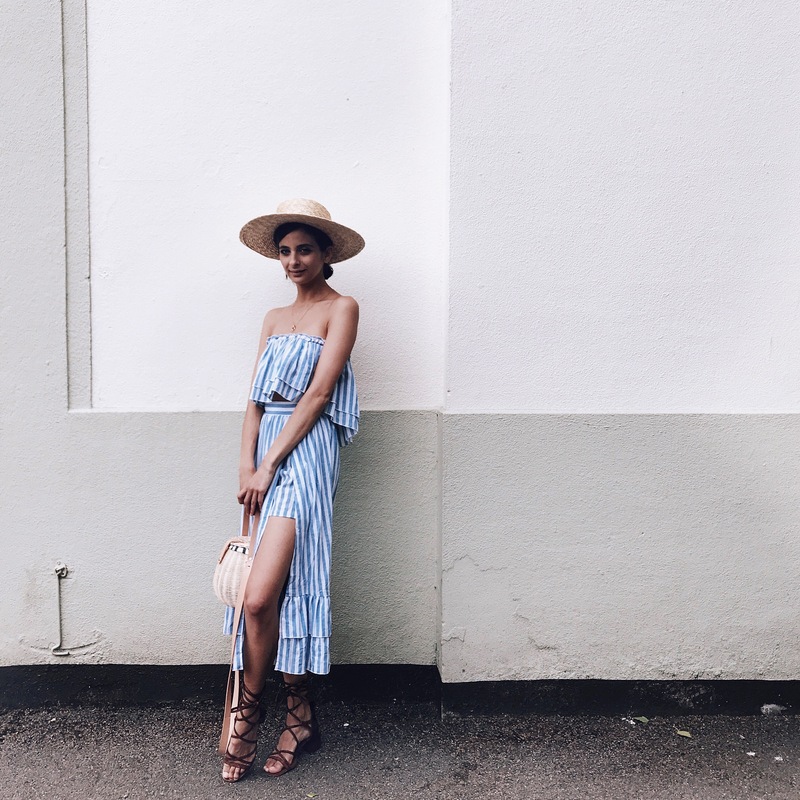 SheIn have lots of other summer stripes and I currently have my eyes on their Shorts and Cami set (here) and their beautiful knot front bralet and skirt (here). Sponsored content will be labelled as sponsored alongside the name of the collaborator(s) I worked with. Although I may be compensated for sponsored content, I will do my absolute best to only provide you with my honest opinion. If you have any questions, feel free to email me using the contact form. Oh wow!!! This dress is amazing!!! I like the combination inside the look!!! Gurrrrllll you SLAYED this look and I love it. This outfit really looks amazing on you. You styled it nicely. Oh GIRL! I knew I was loving this look for a reason! I love SheIn! So happy for your collab – you look stunning in this 2 piece. It was SO Made for you!! This outfit is seriously perfect! Shein is always so good and this two piece is so lovely! I love that you added your lace up sandals!